Performing a range of material spanning generations, Joe Greaney can entertain and gratify a diverse spectrum of audience. 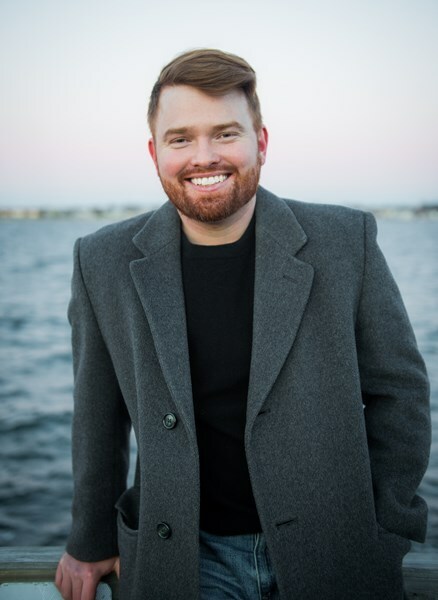 His musical style is perfect for wedding cocktail hours, rehearsal dinners, corporate events and private parties. 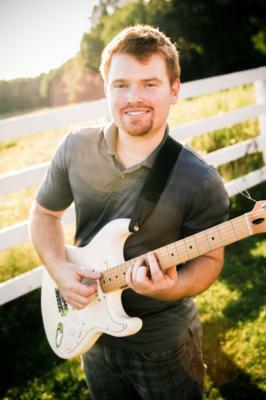 With over twenty years of experience playing guitar and singing, Greaney has used his talent to inspire others to enjoy themselves no matter what the event or occasion. As Greaney puts it, "I find enjoyment in evaluating an audiences musical tastes and preferences and then formulating a set list to then crowd please. My goal is to use music to create atmospheres that are conducive for everyone to simply have pleasant experiences. My sound is suited best for romantic occasions such as weddings, however I am certainly happy entertaining for festive events and private parties." Joe Greaney was trained at Berklee College of Music. He uses a Bose L1 sound system, and he can adjust his volume to be as loud or as subtle as his client's advise. In addition, he owns a PA system with two 15'' speakers in case you need him to be set up in two locations during the course of your event. You can expect true quality toward making your event successful. Joe was amazing! I would definitely recommend any of our future friends that are looking for a similar experience to book Joe! His voice made everything that much more romantic and special. It had everyone crying their eyes out (in a good way)! He had a great selection of songs to choose from and our unique day was even more unique with the music. I wish we could relive the day over and over again and if we could we would have Joe play each time! Joe was an amazing performer for our wedding. The crowd was raving about him during both the ceremony and cocktail hour. What was even better about Joe, and arguably more important, was his incredible communication with us. We felt completely confident in Joe after only a few planning emails. He completely understood what we wanted and executed without flaw. 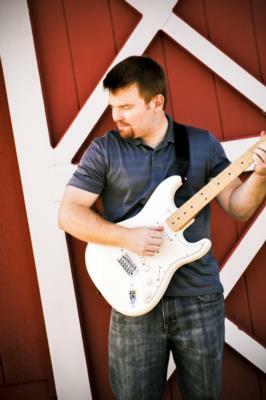 We HIGHLY recommend Joe to any couple looking for a talented and professional wedding musician. A+ performer and a really great guy. You'll love him and your guests will too. We were so impressed with Joe! Not only was he extremely professional and accommodating but he is an amazing performer! He played the cocktail hour for our wedding and kindly agreed to stay and play our first song, “You are the best thing” which sounded exactly like Ray Lamontagne! We would highly recommend using Joe for any event,especially a wedding! Our wedding was in Lake Placid, NY and we hired Joe to perform from the pre-wedding music, through dinner, and finally the reception. He was an absolute delight to work with as he has a great selection of music to play from. I also asked for some recommendations and was able to implement into our music line up. Our wedding song was not on his list but he was able to learn and it was beautiful to hear live and with his acoustic guitar. He always had a smile on his face and was just all around great to work with. Professional, talented, responsive! Thank you Joe for making our wedding so memorable! We had Joe play at our wedding for our ceremony and cocktail hour. He was super easy going and professional throughout. We emailed back and forth. He came very prepared and didn’t need anything from us. Our guests raved about him during cocktail! He had all of the ceremony songs I wanted under his belt already too. I’d certainly recommend Joe and would love to see him play sometime! Joe was so good to work with and was amazing for our cocktail hour. During the run-up to the wedding he was very responsive and accommodating with requests. I would hire Joe again in a heartbeat! We had Joe as the entertainer for our hotel's Grand Re-Opening. He was absolutely fabulous! I would highly recommend him for any corporate event. Thank you, Joe! Planning a wedding is incredibly stressful. I knew I wanted a special touch that would reflect mine and the grooms style by hiring an acoustic guitarist. Booking with Joe was the best and seamless process. The guest were entertained throughout the ceremony and cocktail hour and can’t stop raving about how cool It was. I only hate that I didn’t book Joe for longer so we could enjoy his music longer! Tip to future couples book Joe for longer! His voice and style is unmatched. Thank you Joe for everything and making our wedding day so special. You added that magical touch that we wanted on our wedding day so a million thanks for you professionalism and wonderful ?? !! Joe was fantastic! Great to work with and made it such a fun night for all! Would highly recommend him! We contracted with Joe for a private corporation event reception. He showed up early, even while dealing with the strict venue security. He set up his equipment quickly and started performing right on time. His music created the perfect setting for our outdoor reception. We would absolutely work with him again in the future! Please note Joe Greaney will also travel to South Walpole, East Walpole, Medfield, Norwood, Norfolk, North Scituate, Sharon, Foxboro, Millis, Foxborough, Westwood, Dover, Canton, Wrentham, Stoughton, Medway, Franklin, Mansfield, Sherborn, Dedham, Hyde Park, Readville, Plainville, Holliston, Sheldonville, Randolph, Avon, Needham, Easton, Stonehill College.